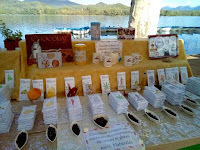 Welcome to Day #1 of Chocolate and Surprise Me Theme Week. Surprises come in many forms. 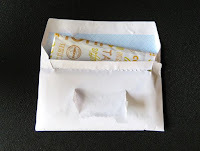 Sometimes wonderful chocolate surprises arrive by mail or via an acquaintance who has come back from a trip. 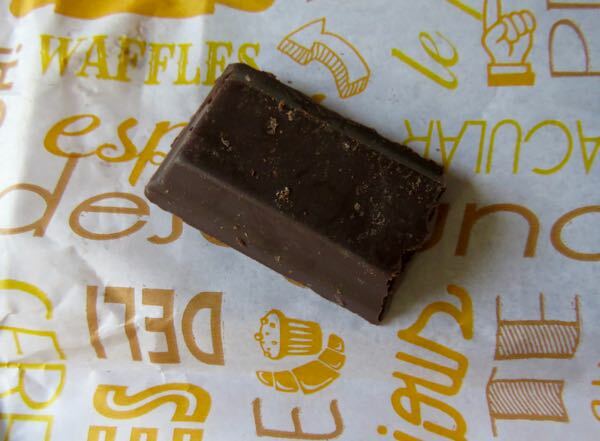 The bar looked like a conventional dark bar, and had pleasing dark chocolate flavor. However, don't expect this to break with a hard snap, the sign of a fully tempered bar. 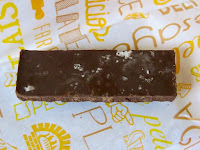 It was surprisingly soft and a wee bit granular; however the olive oil, and added cocoa butter, helped give this gluten and dairy free bar an almost velvety stoneground melt. 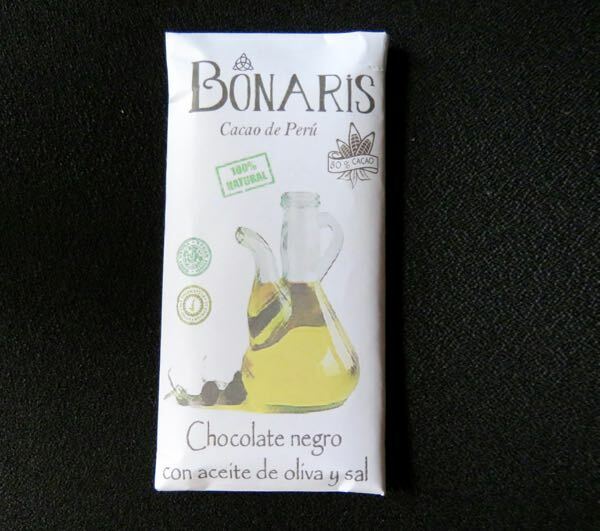 This was labeled as an 80 percent cacao bar, but it was quite sweet and approachable for an ultra-high percentage bar. A generous sprinkle of salt on the back yielded surprise bursts of salt sparkle, more on some bites than others. This was a fun bar to try, with a great journey story to tell. And the repurposed envelope and inner wrapper packaging was clever, resourceful and functional. 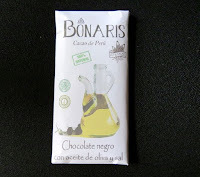 *As far as I can tell, Bonaris bars (available in Spain in several flavors) are made in the Lleida Province of Catalonia in northeast Spain, using at least some cacao grown in Peru. 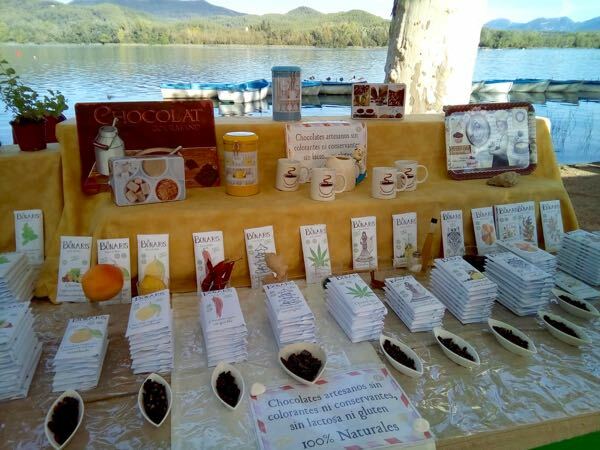 These bars (or tabletas) are sold through Chocolates IVIS SL at outdoor markets in the region, including in Barcelona. 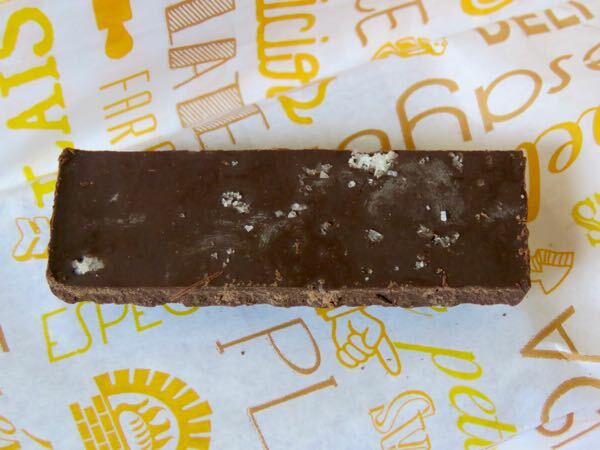 Picture at right is from the company's Facebook page and shows the variety of bars they offer.